Creating program structure diagram with free templates and examples. Program structure diagram has never been easier. A program structure diagram in software engineering is a diagram which shows the breakdown of a system to its lowest manageable levels. In the design stage, the diagram is drawn and used by programmers as a way for the client and the various software designers to communicate. Program structure diagram depicts the size and complexity of the system, and number of readily identifiable functions and modules. 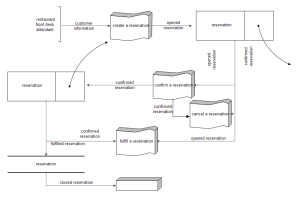 Program structure diagrams are used for procedural programs to illustrate the linkages between modules, flow of data, and control or exception information about a program in a visual format. 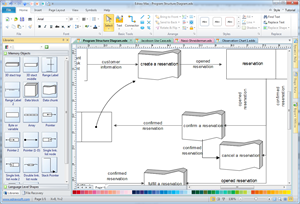 Edraw offers an easy way of creating Program Structure diagram. Through rich built-in shapes and examples, you can finish your diagram by simply dragging and dropping the shapes. You can automatically apply professional design themes, or to customize your drawings if you want. A diagram could be fished in just minutes, which could greatly save your time and energy. Edraw program structure templates offer you many special symbols, such as 3D stack top, 3D stack middle, range label, data block, data chunk, etc. 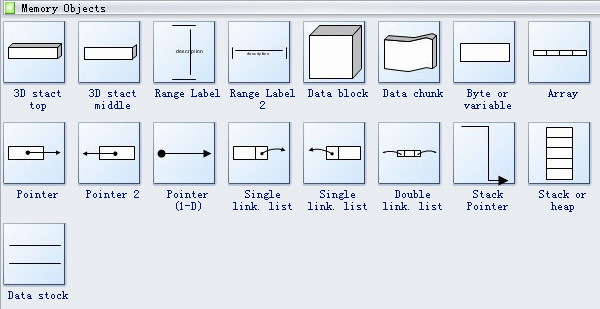 All these shapes will greatly help you when you draw the program structure diagrams. To help you more, a program structure diagram template is provided on our website, available all the time for your own designs.